So…. 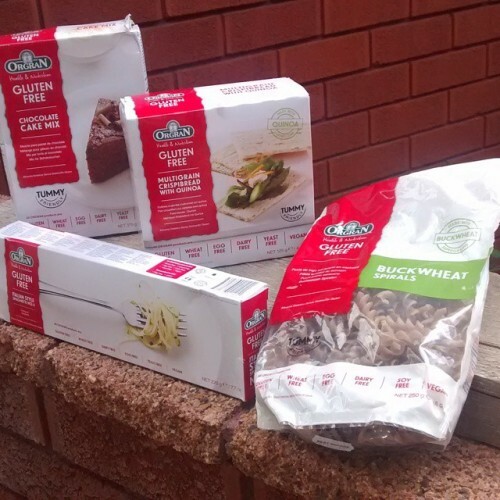 I got a couple of Gluten Free pastas to try from Orgran just in time for the wintery weather! 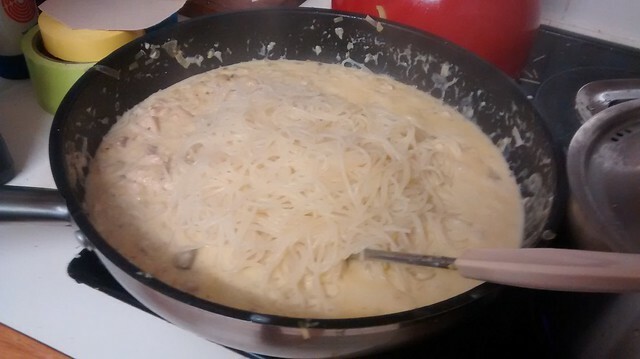 First up, is what I call “Chicken Pie Pasta”. 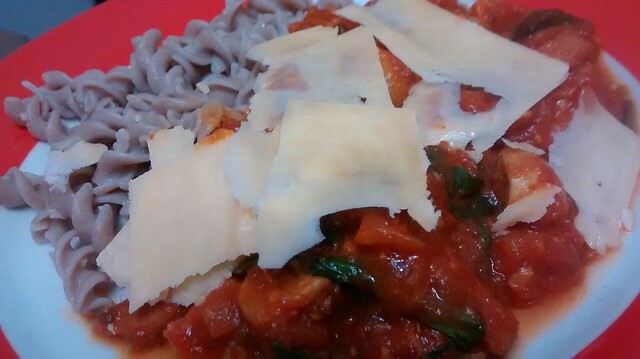 My dear Bruce makes a wonderful chicken, mushroom and leek pie, so I co-opted the ingredients for a hearty pasta. Boil up the pasta in a separate saucepan as per packet instructions. Drain and set aside. Heat a sploosh of olive oil in a pan. We’re using classic and not extra virgin olive oil here because, I’m told, extra virgin olive oil burns too early in the heating process and should be reserved for splooshing on salads and dipping a delicious bread in. Add diced onion, sliced leek, garlic and saute til soft. Season with a little salt and pepper. 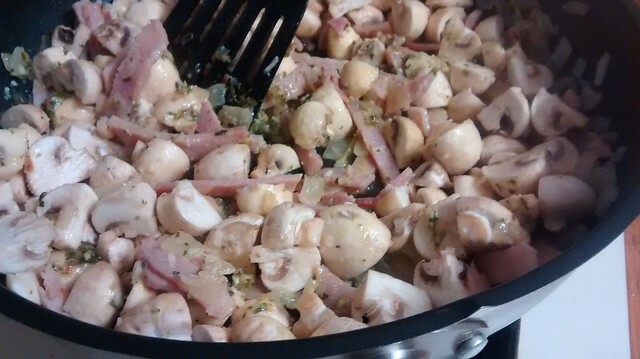 Add the mushrooms and fry over medium heat, let them shrink up a little. Remove everything from pan, add a little extra oil if needed, and cook up the chicken. Stir through herbs. 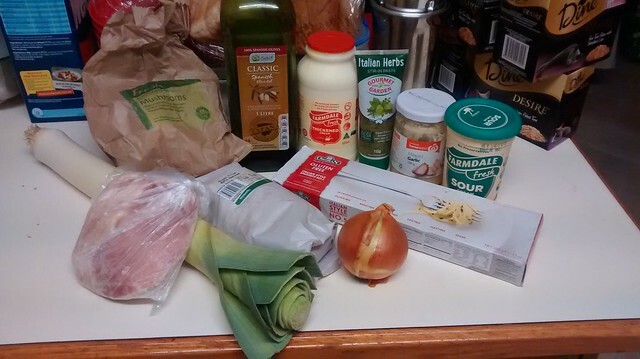 Add back in the leek/bacon/mushroom mix. Add in stock. Simmer on low-medium until there’s a lot less liquid. 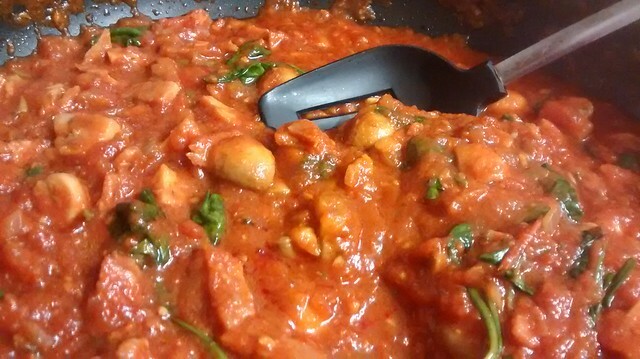 When reduced, stir through the creams.Ruturn to heat for about 5 minutes, then stir through cooked pasta and serve. Season with pepper and salt to taste, and there’s always the option of parmesan, but I think this is rich enough as is! Heat some oil in a pan on about 3/4 heat. Add onion and garlic, and saute til the onion softens. Put in the tomatoes, herbs and chili sauce. Simmer for as long as you like – at least 10 mins. Add in some water or chicken/vegetable stock if you wanna leave it going longer. It definitely won’t hurt! 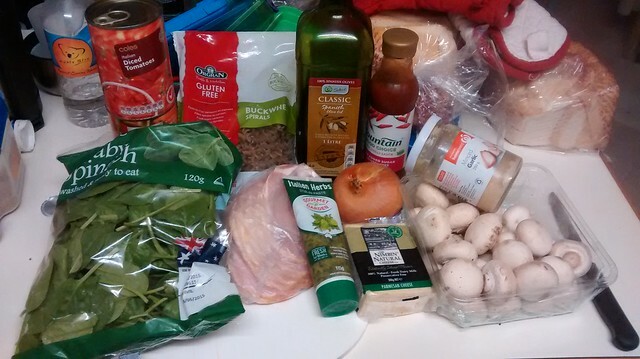 Cook up the pasta as per the instructions on the packet. Drain and plate up. Serve it with the pasta, and top with shaved parmesan. 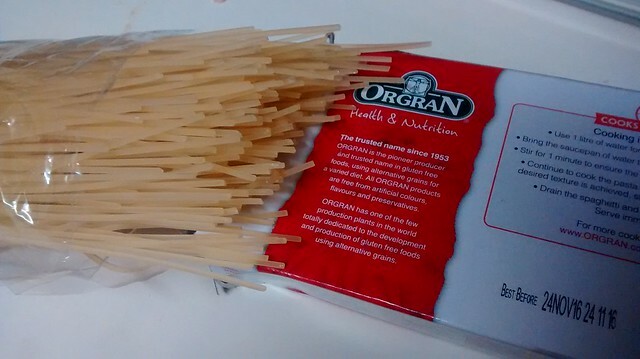 I have to say that Gluten Free Pasta is getting better and better with time, and while you still need to keep an eye on it, this Orgran pasta doesn’t go gluggy the second you over-cook it! Definitely one for the pantry!